By David Nickum - Colorado Trout Unlimited Executive Director Around 80 concerned citizens gathered at the Boulder Country Club last night (Dec. 1) for the first of the Army Corps of Engineers public hearings on the proposed Moffat Firming Project / Gross Reservoir enlargement. The attendees included a mix of conservation-minded citizens with general concern, residents from the vicinity of Gross Reservoir, a mix of west slope residents & second-home owners, and a few local government officials. About 1/4 of those in attendance spoke during the hearing. Grand County Commissioner James Newberry led off the evening by expressing concern over cumulative impacts from past and proposed projects, which collectively could divert about 72% of the Colorado River's headwaters above Windy Gap. He referenced their ongoing efforts to develop a mitigation plan with Denver and others, and urged the Corps to recognize that plan. Bob Crifasi from City of Boulder Open Space and Mountain Parks described their work with Denver and Lafayette in developing an "environmental pool" proposal for Gross Reservoir - a measure to provide 5,000 acre-feet of storage to Boulder and Lafayette to be used with flow management efforts to assure minimum winter flows in South Boulder Creek. TU's Larry Quilling and David Nickum also voiced support for this concept, while noting the need to include safeguards so that the environmental pool does not lead to any additional depletions of west-slope water. TU also supported Commissioner Newberry's call for meaningful mitigation to address cumulative impacts to the Colorado headwaters. 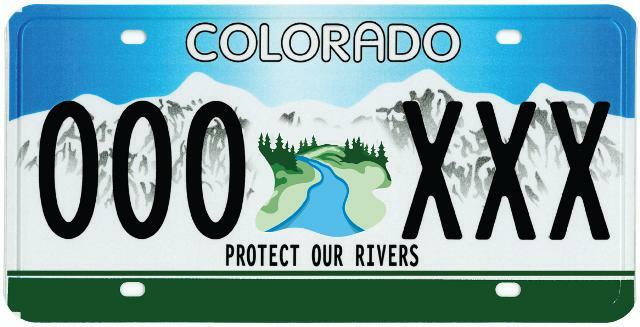 This theme was further reinforced by a number of west-slope residents and Front Range residents with second-homes or other interest in the Upper Colorado watershed. Representatives and residents of Grand Lake expressed concern over water quality impacts associated with Colorado-Big Thompson and Windy Gap project pumping of more nutrient-rich waters into Grand Lake; by reducing dilution flows in the Fraser that would normally flow into Windy Gap, they fear that the Moffat project will worsen this problem. There were numerous calls for more aggressive conservation efforts by Denver and its customers - recognizing that Denver has some good conservation programs in place, but could do much more (particularly in terms of outdoor water use). As one citizen, Derek Turner put it, Denver is certainly a state leader with water conservation but they should be a national leader. Turner also noted that the EIS indicates that Denver will completely divert 100% of the flow from eight different streams in Grand County, and called for at least SOME protection of those resources. Numerous residents of the Magnolia and Coal Creek Canyon areas - which would be impacted by the proposed multi-year constructon of the enlarged dam for Gross Reservoir - raised concerns about effects on the community, including heavy construction traffic on small rural roads, noise, and development of numerous quarries. Several individuals highlighted the need to look beyond large engineering solutions for water supply and to instead look at options for conservation and water marketing opportunities including further leases of agricultural water. One witness emphasized that the rationale for the project was not based on basic water supply needs, but rather was based on the reliability standard - in other words, how severe of a drought should supplies provide for without the need for customers to go under restrictions (such as those that were used in the 2002 drought)? He noted that Denver planned to have far more water (and rarer need for restrictions) than did the City of Boulder, and suggested that the entire project supply might be unnecessary if Denver simply adjusted its planning expectations on this point. The evening included an exclamation point from physicist Michael Thomason who noted the presence of Gross Reservoir along one of only two major wildlife migration corridors in Boulder County from the subalpine to the plains - suggesting that, given its role in blocking historic wildlife migrations, the question should be how to remove Gross Reservoir rather than how to enlarge it. Overall, the evening included a wide range of concerns expressed by citizens coming from a variety of different perspectives. There were no major supporters/champions for the project who spoke during the public hearing.